Generosity Shouldn’t Be Judgmental – Just Show LOVE! But what if that weren’t the case?? Think about these real-life circumstances for just a moment: What if your spouse left you or died? What if your child developed a serious and very expensive medical condition? What if you were laid off from your posh well-paying career without warning? Don’t kid yourself, these things can happen to any of us. This entry was posted in Blog Posts and tagged Christmas, Inspirational on November 20, 2016 by Texas Homesteader. RancherMan & I have a saying: “Sunrises Forever”. It means that every new sunrise is a blank slate, a new beginning, a brand new start. Today’s sunrise is fresh & new – different from yesterday’s and even tomorrow’s. Today’s sunrise is full of possibilities. What will you do with it? Will you make that leap of faith & follow your passion today? Will you build on yesterday’s success to make it even better? Will you wipe away yesterday’s failure and do something great? Our sunrise may look different than yours and that’s ok. Today is a day to start new – to do something amazing that works for YOU. 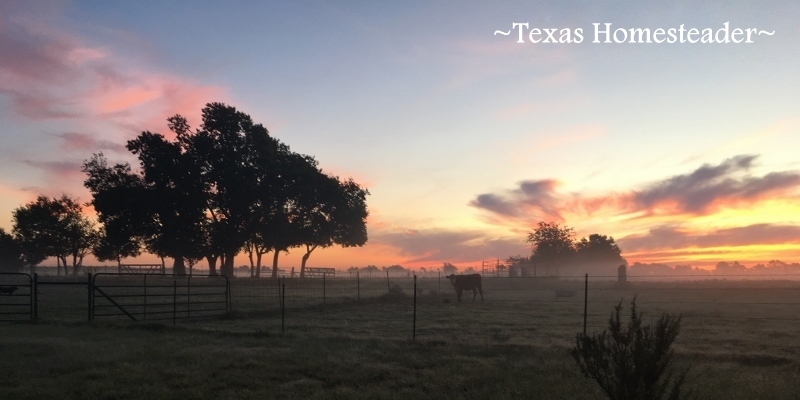 This entry was posted in Blog Posts and tagged Inspirational, Ranch Life, Small Town Living on October 21, 2016 by Texas Homesteader. Why Can’t We Get Along? We’re Different Yet The SAME! I read the news stories and I’m shocked, sickened & saddened beyond belief. How could this be?? An evil person filled with a dark, boiling hate strolled into a place filled with happy people – and just instantly eliminated several innocent lives. Not just names in a news story, but sons and daughters, friends and beloved family members. People who got up that morning and went about their normal day, not knowing the terror that lied ahead. My mind screams “no, no, NO!” but as I see these images on the nightly news I’m forced to accept its reality. This entry was posted in Blog Posts and tagged Inspirational on June 14, 2016 by Texas Homesteader. Let’s Support Others In Their Simple-Life Journey! My latest article submitted to Mother Earth News about 6 easy ways to live a more Zero-Waste life was posted online. Then Mother Earth News shared that post on their FB page recently. How exciting! Most of the comments from their Facebook share were helpful and positive. But there were some snarky ones too about how some of these tips were nothing new. But it got me to thinking – unless you’re talking about solar panels or new technology, almost NONE of our environmentally-friendly living steps these days are new! Not everyone can afford to install high-tech equipment on their home to live simply. But almost anyone can take easy daily steps in their own home to move along that simple path – and it costs little or nothing! 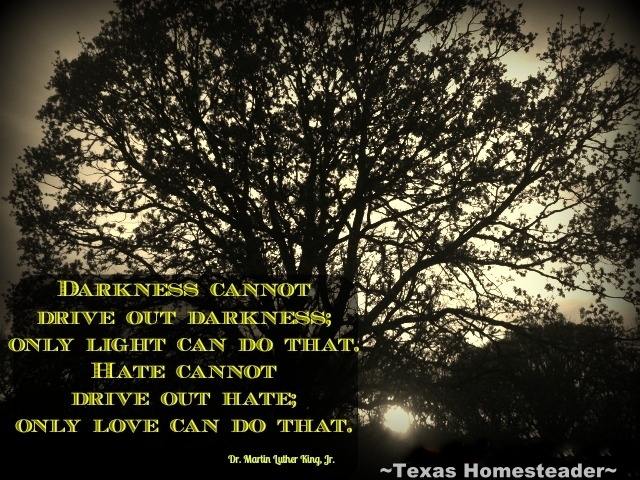 This entry was posted in Blog Posts and tagged Environment, Inspirational on January 20, 2016 by Texas Homesteader. Recently I wrote a piece that was published by Mother Earth News about how self reliance and voluntary simplicity equals power. The advertising moguls would have you believe that you need them to do things for you – that many of those convenience items are just too complicated or time consuming for you to be able to do them for yourself. Don’t buy into it! I’ve found that when I practice Voluntary Simplicity and Self Reliance that I feel empowered. Empowered to do more, and to do for myself better and cheaper than they can and certainly with a greener footprint. What in particular brought me to this realization? Read on, dear friends. This entry was posted in Blog Posts and tagged Environment, Frugality, Inspirational, Make-It-Yourself on December 4, 2015 by Texas Homesteader. Why do I do it?? Why do I go through the trouble (and expense) of raising my own chickens? Or why do I plant a veggie garden and then spend countless hot summertime hours over a steaming pressure canner to preserve the bounty it produces? And why do I haul my laundry outside when there’s a perfectly-good electric clothes dryer RIGHT THERE? Doesn’t it all take a tremendous amount of time? Wouldn’t it be easier to pop open that snack-pak chocolate pudding cup instead of making it from scratch? HECK YEAH it would! 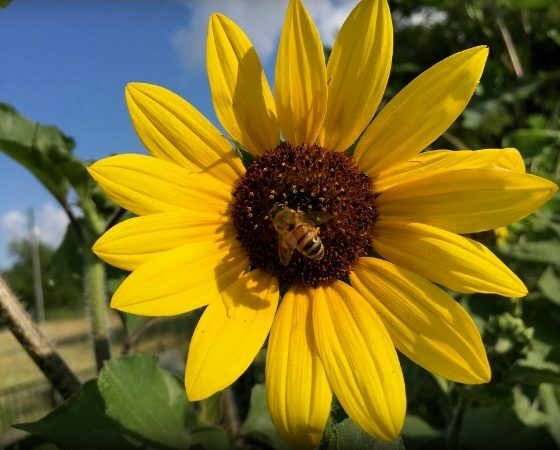 This entry was posted in Blog Posts and tagged Frugality, Inspirational, Make-It-Yourself, Ranch Life, Small Town Living on October 18, 2015 by Texas Homesteader. Recently on my Facebook page I shared a story that I read about how much food is wasted in this country – everything from harvest waste or culls in the field to grocery store waste. I commented that it was a shame that more edible & in-date food destined for the dumpsters for whatever cosmetic reason couldn’t be used instead to feed hungry people. Many of my followers chimed in that it was a shame indeed. But one person was angered by the story for some reason that I still don’t quite understand. As a matter of fact he was indignant and abrasive to many various commenters. Now I love FB and I typically enjoy it immensely. 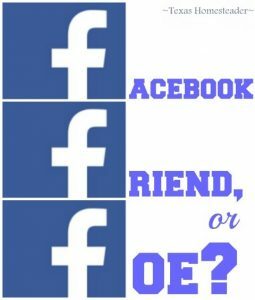 But this internet troll incident got me wondering if public social media sites like Facebook are really a friend or a foe? 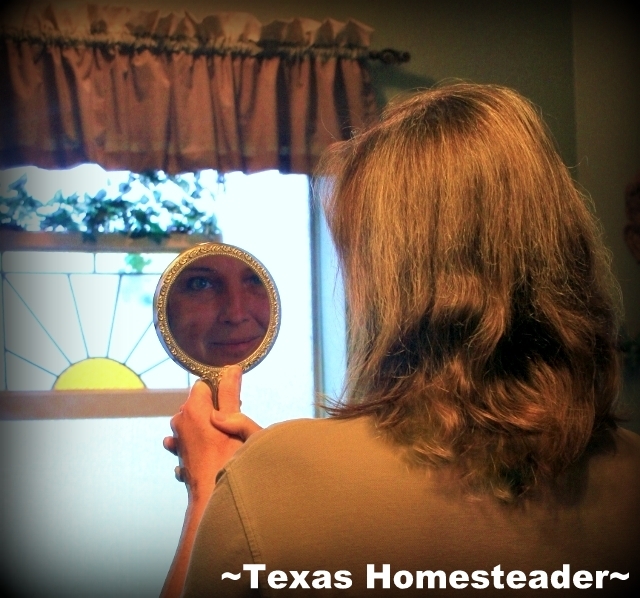 This entry was posted in Blog Posts and tagged Inspirational on September 27, 2015 by Texas Homesteader. New Streaks Of Platinum Blonde? I Earned EVERY ONE! Recently I attended my mother’s birthday celebration – a gathering of family & friends. We all met at a local bistro and many tables were pushed together to make room for all the guests in attendance. Of course there were family members there, but helping to celebrate were many super-fun friends as well. Most older than me but beloved like family. 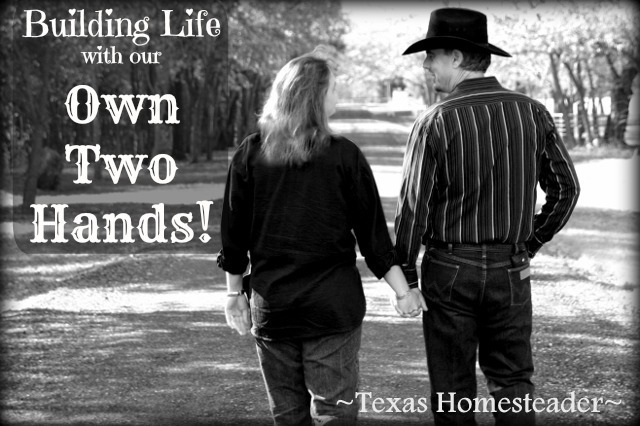 This entry was posted in Blog Posts and tagged Humorous, Inspirational on May 3, 2015 by Texas Homesteader. By now many of you know I was diagnosed with breast cancer a few years ago. (I just passed another survivorship anniversary!!) There were many frightening aspects of going through that diagnosis and recovery. But I was surprised to find many blessings along the way as well! As I was going through the surgeries I found myself feeling depressed about the things that made up the gentle rhythm of my life that were completely disrupted. Not only my health but my whole world was upside down! Living & working on a cattle ranch means I certainty couldn’t do my ranching chores for awhile. And my strength was zapped so it was difficult to even do the simple things like cook and clean, and planting my beloved garden was out of the question. But a group of friends surprised me by showing up at my door early one Saturday and planting my garden for me. Tears of joy and appreciation streamed down my face as I was touched by their kind gesture. I truly felt the embrace of God Himself that day. D’ya hear that??? Felt the embrace of GOD. Now that’s a powerful feeling, my friends! Ironically one of the people that showed up that morning recently had a very serious accident. Like me, he couldn’t imagine not planting his beloved garden. But like me he just can’t physically do it this year. He was there for me when I needed him in 2013 & he asked for nothing in return. He was just giving of himself, showing God’s love that day. He could have never known how much his gift meant to me but it meant a lot. Now I’ll make sure he feels that love as well. 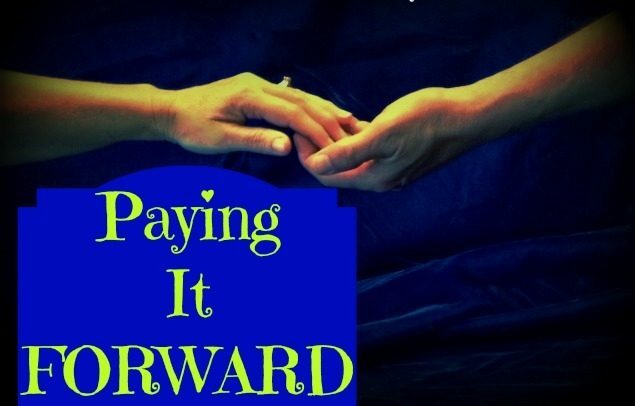 It’s time for me to reach out & pay it forward! 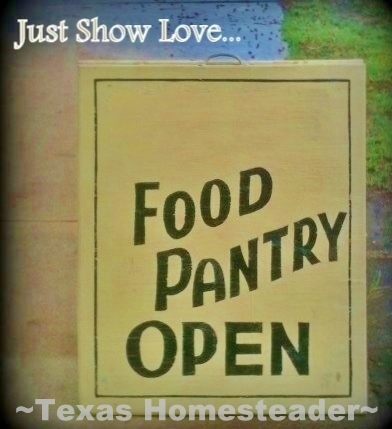 This entry was posted in Blog Posts and tagged Gardening, Inspirational on April 17, 2015 by Texas Homesteader.